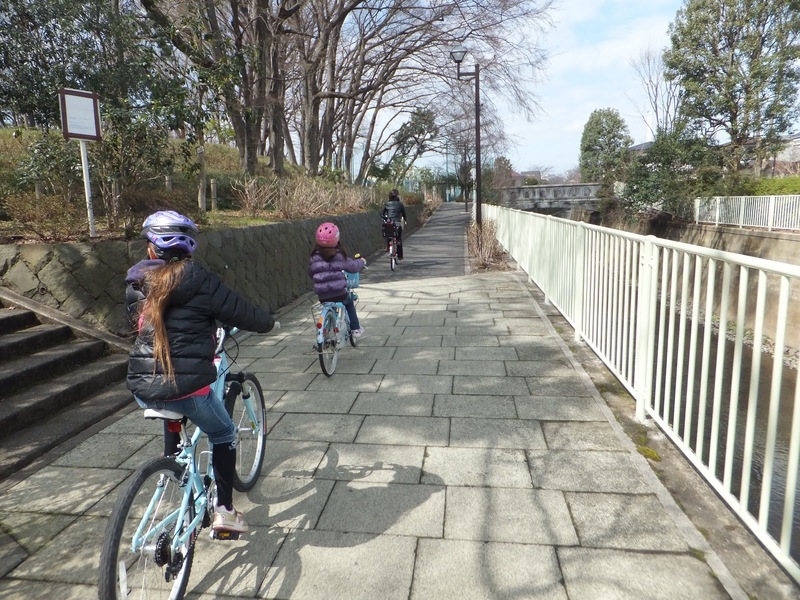 A big day for the girls of Team Tokyo By Bike today as we made our first family ride along the Kandagawa river to Inokashira Park in Kichijoji. Riko and I proposed the idea of the 14km round trip to my daughters on Saturday afternoon and they couldn't contain their excitement as it would be the longest ride they've ever done under their own power. I had no doubt that they would make the trip out to the park easily but was a little concerned that they wouldn't have enough steam to get themselves home. After they went to bed I spent some time considering bail out options, just incase. We left home around 11am Sunday morning and made what was to be a quick stop at our local bike shop to ensure everyone had enough air in their tyres. We soon discovered that the front brake pads on our mama-chari had worn almost down to the metal. But thanks to the friendly staff we had a new pair fitted in no time for less than the price of a cup of coffee. Bike maintenance complete we were on our way. 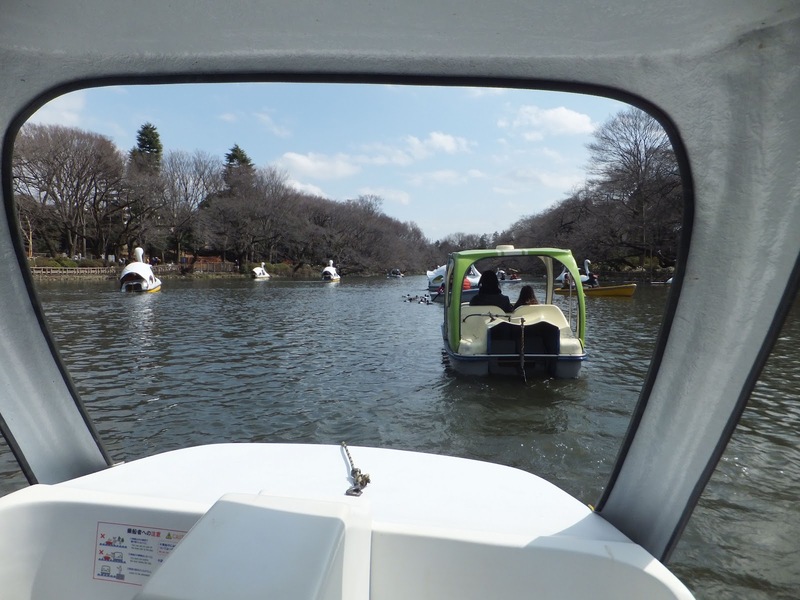 It was smooth sailing along the path that follows the Kandagawa river right up to the lake in Inokashira park. 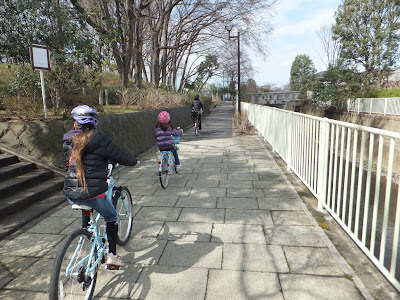 The pedestrian and bicycle traffic was light, the sun was out, the temperature was brisk, but not cold and many plum trees were beginning to flower. By chance we bumped into family friend Ashley who was out for a jog. 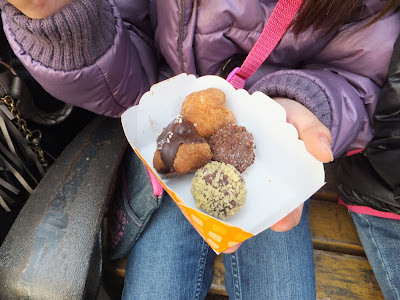 After 40 minutes of accident and complaint free cycling we reached Inokashira Park where we dismounted and pushed our bikes beside the lake through the craft market, stopping occasionally to browse the stalls. Finding parking was easy as there is a portion of the park set aside just for that. Inokashira Park is famous for its swan boats which the girls promptly announced they wanted to ride. To everyones surprise I said "Sure, why not?". They were already having a dream day and beng told they could ride the boats just added to their pleasure. The boats are propelled by the passengers pedaling, so after 40 minutes of cycling we pedaled on the water for another 30 minutes. It wasn't just the girls having fun, both Riko and I disembarked our respective vessels with smiles on our faces. We visited Village Vangard where some delicious hamburgers took the edge off our hunger before partaking in a little shopping around Kichijoji station. Today being March 11, exactly one year from when the earthquake struck Tohoku, at 2:46 we saw numerous people simply stop in the street, clasp their hands, and silently bow their heads in prayer or reflection on those terrible events. 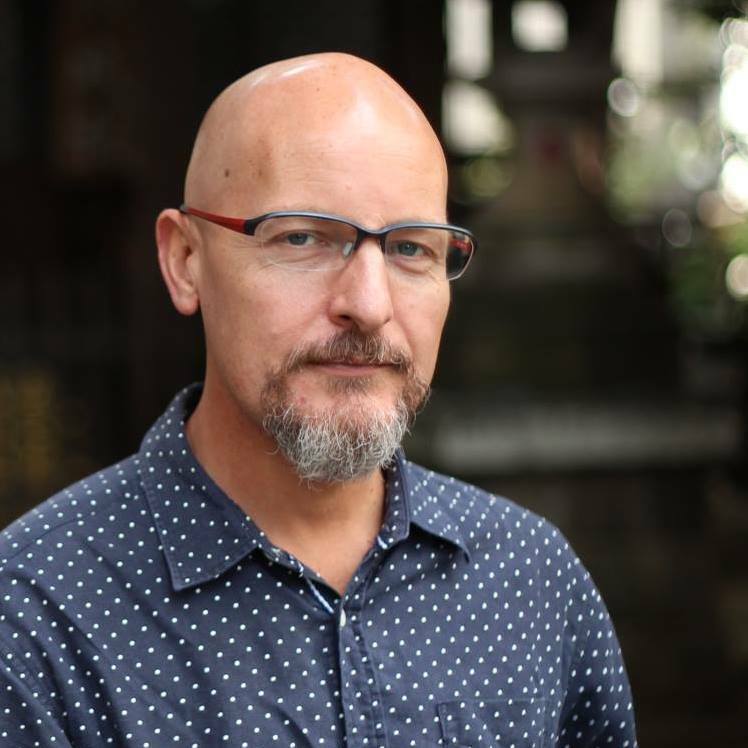 I was having a perfect day with my family yet remembering the events of last year made me appreciate just how lucky I am to have two beautiful, healthy girls and a gorgeous, loving wife. Before making the trek home there was time for the girls to have a short play back in Inokashira Park and devour some donuts to build their energy levels. The girls were looking pretty beat but they assured me they were good for the return trip. True to their words they cycled the 7km home without a single complaint. Both girls were very proud of their effort, as were Riko and I. 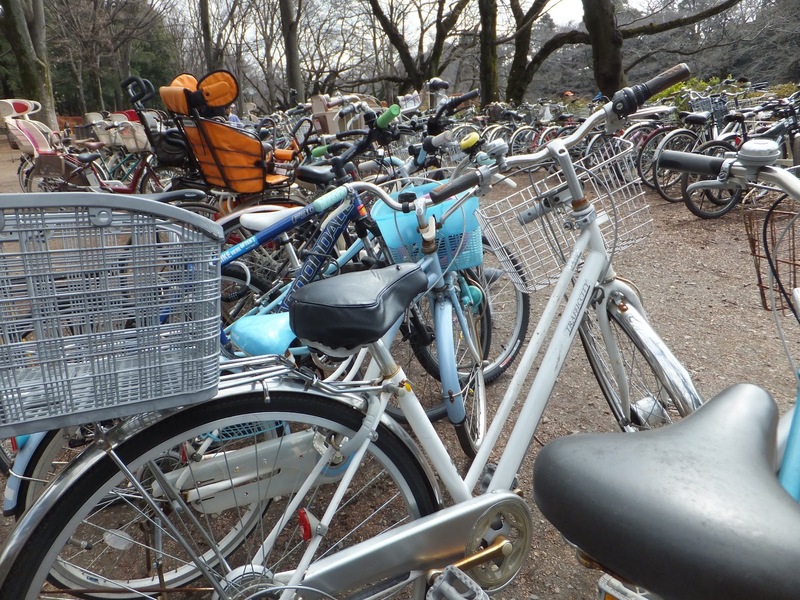 Next time we suggest a trip to Kichijoji I wonder if they'll insist to go by bicycle? 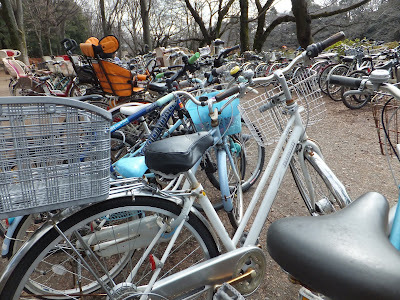 Can you recommend somewhere to hire bicycles so my friends and I can ride along Kanda-gawa to Inokashira-koen?